This month, I was assigned The Wimpy Vegetarian. I go meatless often when making lunches and dinners so I was super stoked to be assigned her blog. As I poured over her “about me” page, I realized Susan and I have a lot of similarities. She lives in the SF Bay Area and I was raised in Oakland, CA so we share some of the same stomping grounds. For about 13 years, I ate a mostly plant based diet and it seemed that any relationship I had was with a committed carnivore, so I totally identify with her making two meals for herself and her spouse. I think it’s really great that she found a way to spice up her vegetarian dishes to make them pleasing to the meat eater in your life. Her blog focuses on bridging the culinary gap between vegetarians and omnivores and uniting a divided kitchen. I wish I knew about this blog a few years ago. Now that I do, I think I see more tasty vegetarian dishes being whipped up in my kitchen. Susan has also entered and won many cooking contests, teaches cooking classes and has attended culinary school. It certainly shows in the recipes she has on her blog. I had a hard time deciding which one to make. 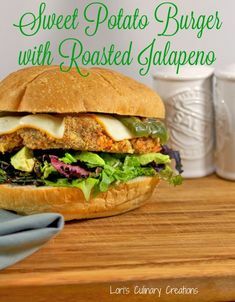 Some of my favorites are the Chile Relleno Egg Bake (since I can live on a steady diet of Chile Relleno’s), the Spicy Red Pepper Jam and the Huevos Rancheros, which was a contest winner for Susan. After a lot of reading on her recipe index, and listening to my stomach growl, I chose to make her Butternut Squash and Caramelized Onion Empanadas. Don’t let the idea of empanadas scare you. These are very easy to make. I just used a 9” store bought crust and cut it in fourths, laid down the veggies and folded it over. Easy peasy. After assembly, they can be refrigerated for a couple of or frozen for a couple of months. 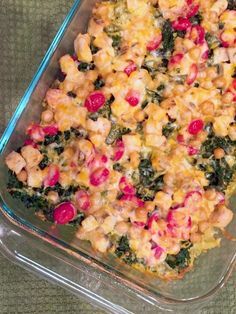 This is perfect to make ahead and have on hand when those busy weeknights take over. While the onions are caramelizing, line a cookie sheet with parchment. Add the olive oil to the butternut squash coating well. Spread out on cookie sheet and sprinkle with paprika and cayenne. Roast 8-10 minutes until soft. Take the chopped apple, raisins and butter and place in a small saucepan. Heat on medium high until butter melts. Saute on medium until apples soften. Set aside. Bring the pie crust out of the fridge. Allow it to come to room temperature. Roll out to thin them just a bit then cut in fourths. They'll be a triangle shape. Spoon an equal amount of onion mix onto half of each piece of dough. Top with an equal amount of squash, then top again with an equal amount of the apple mix. Fold the half not covered in veggies over the veggies and seal the edge. Trim the rough parts and press the tines of a fork on the seal. If you want, you can brush the tops with melted butter to add more flavor, but that's optional. Bake uncovered on a prepared baking sheet (I used the same one I used for roasting the squash) for 20 minutes in the preheated oven. Susan’s recipe includes a homemade dough, however I had a pretty busy day so I opted for the store bought. Either way, the filling is incredible and empanadas can be a meal in itself. Take this and pair it with a salad and you will have the ultimate delicious dinner. Take a moment and click on some of the links in the collection to see what other members of the Secret Recipe Club cooked up. There are tons of goodies! I’m so glad to have found this group and am excited to check everyone’s creations. I love empanadas. 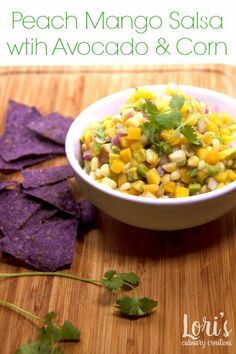 This is a perfect recipe for fall, and a great SRC pick! I’m so glad you liked them!!! And really, they’re all about the filling. When I’m in a hurry, store bought pie crust is absolutely the way to go. Thanks so much for your kind words about my blog!!! What a great flavour combination – I love the look of these! Leigh recently posted…Secret Recipe Club – August!